With developers already figuring out how to use the HoloLens for home improvement tasks, it's no surprise that the device has greater applications in construction. 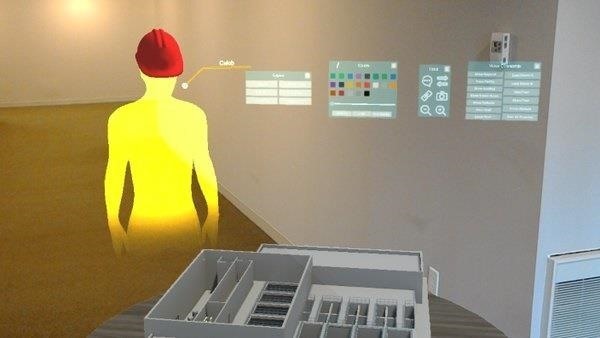 Tech blog Digital Trends points out that holograms are a natural evolution of the blueprint, and several other aspects of construction work. Justin Pot interviewed Scott Aldridge and David Neitz, leaders at consulting, construction, and engineering firm CDM Smith, who clearly understand the benefits of this technology. Not only can mixed reality headsets help with communication and planning, but more robust applications include projecting information onto construction sites. Workers could actually see what they need to build and specifically where to build it through a holographic lens. This can lead to greater efficiency and accuracy in construction. With hard hats already a necessity for builders, adding mixed reality wouldn't change the look too much. While most of us aren't used to wearing computers on our heads, it should feel like a more natural evolution in the world of construction.